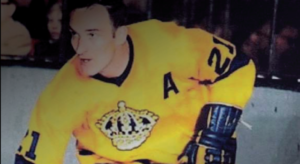 Original Los Angeles King and 1972 Summit Series participant Bill White passed away over the weekend at the age of 77, the Los Angeles Kings and Chicago Blackhawks announced. A Toronto native, White was highly respected throughout the sport as an All-Star defenseman who scored a game-tying, second period goal in Canada’s Game Eight win over the U.S.S.R. and was on the ice at the end of the game to protect his country’s historic 6-5 victory. Having played seven AHL seasons before his NHL debut in 1967, White spent five seasons with the Springfield Indians under owner Eddie Shore and had his rights purchased by the expansion Kings as part of the purchase of the AHL franchise. He went on to lead all Kings defensemen in scoring during the inaugural 1967-68 season with 11 goals and 38 points, and was the team’s lone All-Star Game participant at the 1969 game in Montreal and the 1970 game in St. Louis. 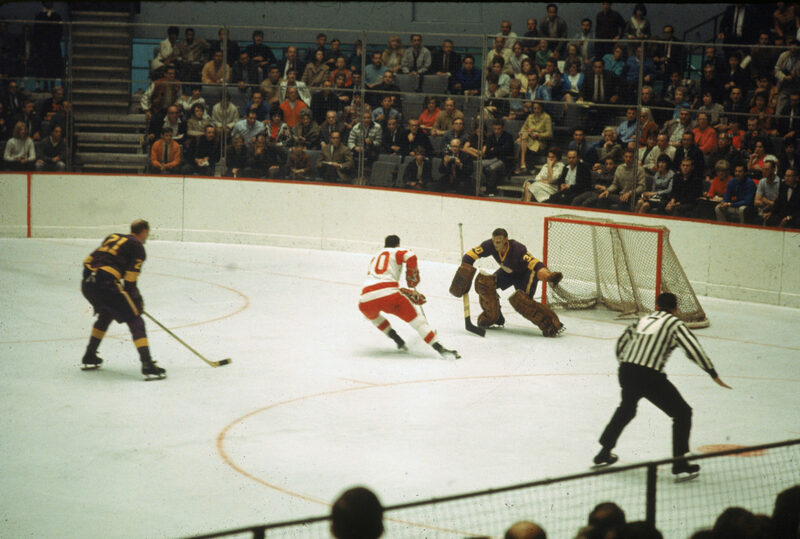 White played nearly three full seasons for Los Angeles before he was traded to Chicago along with Bryan Campbell and Gerry Desjardins in exchange for Dennis Dejordy, Gilles Marotte and Jim Stanfield on February 20, 1970. 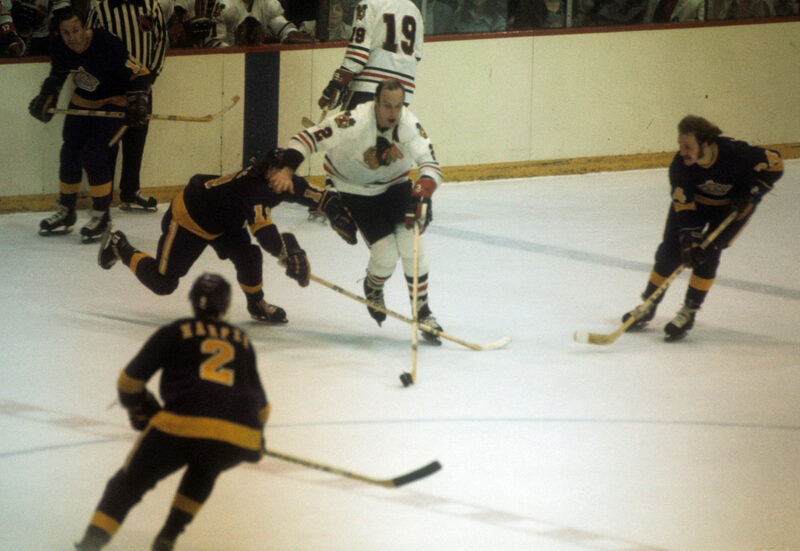 After finishing the 1969-70 season with the Blackhawks, he played an additional six seasons at Chicago Stadium and appeared in the 1971, 1972, 1973 and 1974 All-Star Games. When Paul Henderson scored his legendary goal with 34 seconds remaining in the third period of the eighth and deciding contest to effect a 6-5 victory in Moscow, White and Stapleton had already been on the ice for a minute or so. Although exhausted, they stayed there until time expired. Folklore has it that Stapleton fetched the landmark puck at game’s end, but he insists that it was White who collected and kept the most famous memento in the annals of Canadian hockey. At the Blackhawks Convention a couple summers ago, White was informed of Stapleton’s assertion. Smiling, White intoned, “consider the source.” Those two could toy with each other too. The Hockey Writers’ story, based on comments White made at a forum hosted by “The Ultimate Leafs Fan” Mike Wilson, detail the labor issues that simmered under Shore. White made sure to credit Shore for his work with defenseman and also spoke highly of the late owner, as also captured in Verdi’s story captioned above. But Mr. White wasn’t going to completely vilify Shore, one of the NHL’s all-time greatest defensemen. “I gotta admit, Eddie, he had some good points and some bad ones. You just had to weed out the ones you thought were crazy for defensemen to be doing. If you stood up to Eddie, he respected you.